A measure that would allow VA docs to issue medical marijuana recommendations advanced in the Senate, Massachusetts' highest court rules in favor of a worker fired for using medical marijuana, and more. Last Thursday, a Senate panel approved medical marijuana for veterans. The Senate Appropriations Committee voted to adopt an amendment that would allow military veterans to get medical marijuana recommendations through the Department of Veterans Affairs. The bipartisan measure picked up four more votes than last year, when it was approved by the full House, but killed in conference committee. On Monday, the state's high court ruled for a woman fired for using medical marijuana. The state Supreme Judicial Court ruled that a woman fired after testing positively for legally recommended medical marijuana can sue her former employer for handicap discrimination. The employer had argued that the use shouldn't be allowed because marijuana remains illegal under federal law, but the high court disagreed. 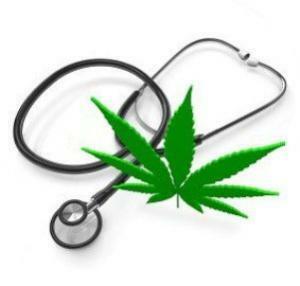 If a doctor concludes medical marijuana is the most effective treatment for a debilitating condition, "an exception to an employer's drug policy to permit its use is a facially reasonable accommodation" and "the fact that the employee's possession of medical marijuana is in violation of federal law does not make it per se unreasonable as an accommodation." On Sunday, medical marijuana patients complained of higher prices after recreational sales began. Medical marijuana patients are complaining of "price gouging" in the wake of the advent of legal recreational marijuana sales in the state. "Our prices have almost doubled in some places," patient Emily Wilson said. Some patients are reportedly resorting to the black market because of high legal prices.